I spent 12 months going on over 50 interviews at places like Google, Uber, Twitter, and more. These are the exact formulas I used to land interviews and offers at these companies, in some cases, without any connections. This resulted in landing the job of my dreams along with a 200% bump in salary. Now I ‘m going to teach you how to do the same! We’ve all been there – the feeling of defeat washing over you before you’ve even had the chance to get started. So what do you do next? What anyone else the 21st century would do – Google it! These are all suggestions that popped up when I searched for “how to get a job” (man, most career advice on the internet is really bad). You know where you won’t find top performers looking to hire the best talent for Google, Facebook, or Apple? At networking events and meetups. They just don’t have time for that, and neither do you. Most of the people at these events are not very influential within their industrial niches and therefore aren’t going to do much for our cause. Which one of you is Tim Cook? What about emailing and asking? Well, how would you feel if some stranger emailed you and just asked for a job? You’d probably laugh them all the way to your spam folder. You probably also noticed that I didn’t mention submitting your resume online into what I affectionately called the “Black Hole of Doom” (where resumes go to die). That sounds harsh, I know, but how many people do you know submitting 20 applications online hear back? It’s simply not a good use of your time. 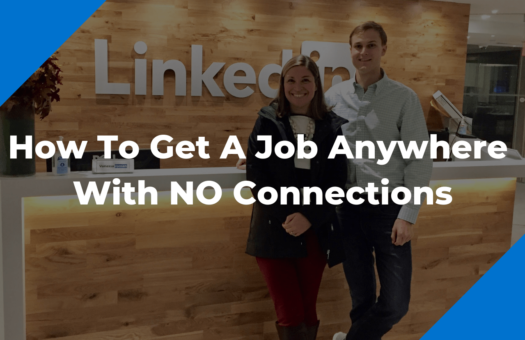 In this article I’m going to show you the exact process you can use to get a job interview at your dream company even if you don’t know a SINGLE person there. How do I know it works? Because these are the exact steps I used to get job interviews and offers at companies like Google, Uber, Twitter, and more. Ok, all of those things sound great to me, so how do we make it happen? You said you don’t know anyone at this company right? Not to worry, I’ve got you covered. The first step is having a solid idea of the specific role you are looking for, down to the company and title (if possible). Next, you need to make sure that role is available. For today, let’s assume that you want to be an Account Manager in the Technology B2B vertical at Google. Now you are going to find someone who not only knows about the role, but could potentially have an impact on hiring for it. Time to fire up LinkedIn. In the search bar, I want you to plug in the company name + all of the information I highlighted above (title, vertical/industry, preferred city). However, before you hit “Search,” we need to remember that you are looking for someone who can influence the hiring process. Associate: this title is usually given to someone who is halfway between positions for some reason (maybe there is typically a 4 year gap between levels and they are 2 years in). A person with Associate in their title is usually one notch below a person with the original title. For example, an Associate Account Manager would most likely be one level below an Account Manager. Executive: ­this title is usually given to people who are very senior, or around the level of Vice President. The two most common cases are Sales Executive/Account Executive (synonymous terms for a senior salesperson) or Executive Vice President who is two notches above a Vice President and one notch above a Senior Vice President. 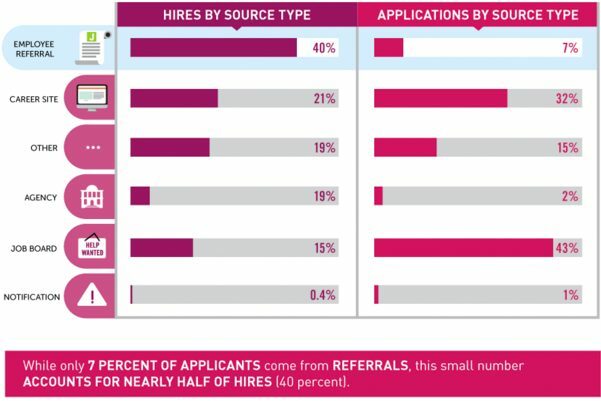 That should be all the info you need to make an educated decision around where people stand within the company you are researching! Now that you’re familiar with the company structure, let’s get back to finding that influencer who can help you land a this job. Our first result? A Senior Account Manager who works in B2B at Google – nailed it! Now, we’re going to reach out and set up an in-person meeting. This one is obvious, I know, but it’s a big time saver and definitely worth the 10 seconds it takes to check. On the person’s profile, right under their picture, there can be a button labeled “Contact Info” (I say “can be” because people have the option to remove it). Occasionally, people will have their email address listed right there – voila! Once it spits out their email you can confirm it using PeopleSmart or MailTester. If that doesn’t work, you can try finding someone else’s email at the company and use that format reverse engineering your target email address. For example, using Larry Page again, if I know that my buddy John Smith’s email is [email protected] then I can assume that Larry’s email is [email protected] (it’s not, sorry). The easiest way to get a hold of a company email address is to reach out to someone in sales or media because both of these departments usually have inbound lead forms and people on the other end ready to pounce on those emails. We can also use our LinkedIn method here and target salespeople. Salespeople almost always have their corporate email listed on their LinkedIn because it’s a free win for them. If someone is looking for their product and then finds them on LinkedIn, boom! They just got an effortless inbound lead. Once you have the format, you can use the same two resources (PeopleSmart or MailTester) to confirm your target email address. Now that you have your potential influencer, it’s time to do some research so you can effectively reach out and build that relationship! Start with the usual suspects – LinkedIn, Facebook, Twitter, Instagram, etc. and look for common points of interest. To be honest, most people are better at this online research thing than I am, so I’ll get back to the meat here. One thing I will say is, don’t skimp! The more you get to know this person beforehand, the better your chances of landing a referral from them. Some people have said to me, “Austin, isn’t this a little weird? I feel like I’m kind of stalking this person.” I totally get it. However, this information is critical for quickly building a strong relationship and getting that referral! Also, in my experience, people tend to expect that you’ve done some research on them. The key is to understand what is kosher to bring up out of the blue and what isn’t. People are OK with you checking out their LinkedIn, but they may be a little weirded out if you mention that picture from Saturday’s Bar Crawl that you saw on Facebook. As for the subject, Fast Company did a study where they emailed 1,000 C-level executives from Fortune & Inc 500 companies. They found that the subject line “Quick Question” made up 66.7% of total replies. That was good enough for me so I tried it out and saw similar results. All of this said, the script is just a framework. You will most likely need to tweak your emails to fit the situation. 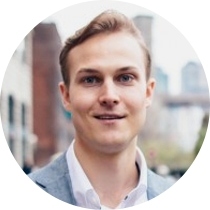 When that time comes, I recommend checking out Sam Parr’s incredible guide on how to cold email like a boss (Sam has started conversations with Jeff Bezos and Brian Lee (aka Jessica Alba’s co-founder) via cold email!). It’s the same guide I used to help craft my email templates. You will not and should not mention anything about the opening at their company. People innately enjoy helping others and if you follow the steps above, they will bring this up naturally. Really dig in here, get them to be specific. This information is going to be critical in helping you land a referral from this person, as well as getting the offer further down the road. Okay, so you met with your influencer, things went great, and you identified a major pain point that the team is having. Now we’re going to focus on that last part. Truthfully, this process deserves a post of its own (I am drafting it now – stay tuned!) but this should give you a good idea of what you need to do. If you’re the type of person that likes concrete examples, check out this guerilla usability test Raghav Haran ran for Airbnb. Thanks again for taking the time out to chat last week! I spent a lot of time thinking about what you said regarding [team’s biggest challenge]. In fact, I created a short framework that should help you solve it! Please find that attached. It’s very important that you do not mention the open position in any of your emails or the proposal. Be patient and wait for their response. When they do get back to you, they will not only bring up the opening but they will ask you if you’re interested. Kindly accept and play it cool. You’re in! But What About My Resume & Cover Letter? Resumes and cover letters are definitely an important part of the job search, but people tend to place too much emphasis on them. 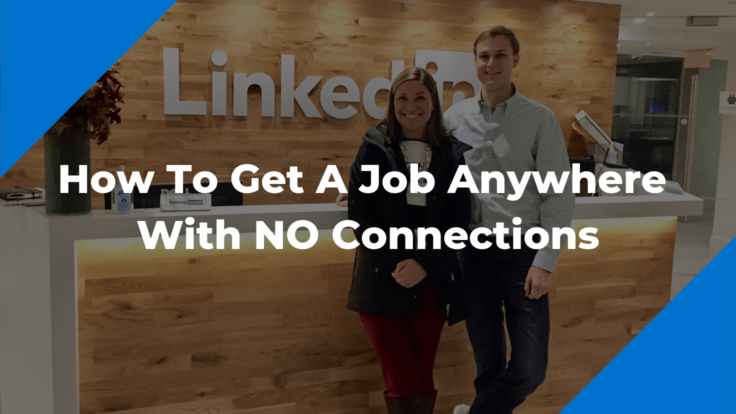 If you’re following the steps in this article to build relationships and add value , your resume won’t matter nearly as much because your contact will already have a full understanding of the value that you bring to the table. That said, you should spend some time optimizing your job search materials so they’re ready to go when your contact offers to refer you in. To help make sure your resume is on point, check out my guide on writing resumes that will actually get you hired. 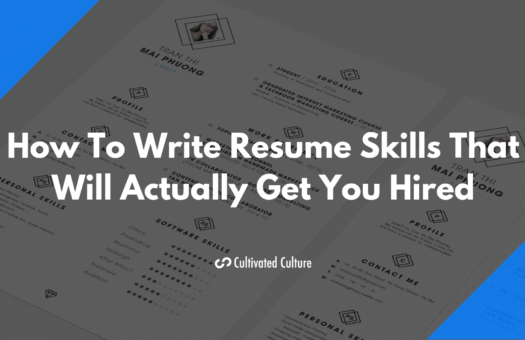 That will give you a great foundation and you can build off of it with these articles on writing highly effective resume bullets, accurately conveying your skills on your resume, and writing a resume objective that will boost your chances of getting hired. Finally, this guide on writing cover letters will help you spin up a final draft in less than 30 minutes so you can move on to the next part of the process – interview prep. Click here to get the Referral Toolkit totally free! Ok, now we’ve got the in. Our influencer passed along our resume to HR and they reached out to set up a phone screen. Once we get past that, we’ll be on to interviewing with the team, and then getting the job! Easy though, we still have a lot of work to do. In 2013, I graduated with my biology degree and took a job in medical device sales where I worked from 5:30am – 12:30pm covering surgical cases in the operating room. Then, every day, I would come home and study digital marketing until 8:00pm. In order to gain relevant experience, I got certified in Google Analytics & AdWords and created my own consulting firm that focused on using search engine marketing to generate leads for private golf communities. We were able to increase home sales by an average of 20% while reducing the cost per lead by around 10%. Armed with my new credentials, I began to look for positions in New York. Eventually, I was offered a position at my current company (a promotional analytics company in New York). During my tenure there I have grown my book of business by 467%, spearheaded the creation of an internal group dedicated to marketing the company on the internet, and helped close the 2nd largest deal in company history. However, the company has restructured several times since I was brought on. I’ve had 3 different managers over the past year, as well as 3 titles with different sets of responsibilities. I’m looking for something a bit more stable and has been somewhere that I have wanted to work since I got into this industry. I’m really excited to have this opportunity. Now you have your second set of questions to prepare for! 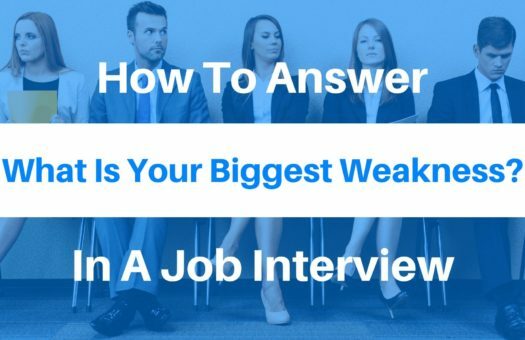 Finally, once they are done peppering you with questions, your interviewer will ask if you have any questions for them. In my opinion this is the most crucial part of the interview. What is the most unexpected lesson you’ve learned while working at ? The first four are fairly standard questions, but the last two really seal the deal. Don’t be surprised if you get a “wow, I’ve never been asked that – give me a second” when you drop the unexpected lesson. The final question opens up a personal dialogue with the interviewer that allows you to establish a connection that moves you up from “interviewer-interviewee” status to “personal conversation” status. 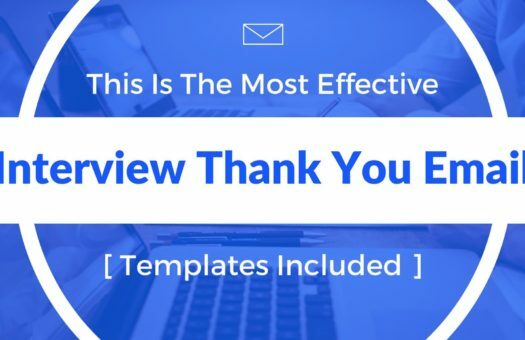 Plus it will give you great content to put in your thank you email. While we’re on the subject, be absolutely sure to send a thank you email to everyone you interviewed with. Also include a personal touch to each one (something that you gained from that last question). Many people I talk to say “but I don’t have their email Austin!” Ask for it!! At the end of every interview always, always ask for a business card or write down the person’s email in your notebook (you did bring a notebook, right??). If you do end up in that bucket, try using the techniques I outlined above for finding people’s emails and you should be fine. I Haven’t Heard Back In 3 Days! Whoa, whoa easy there. This is one of the most common mistakes I see from job applicants. I understand how nerve wracking it is to sit there and wait while everything is completely out of your hands. So When Can I Send Them A Reminder? I wanted to quickly follow up and see if there was anything else I could help with regarding the application process. If so, please let me know! That’s it. If they don’t respond to that after another 3-4 days, you have your answer and it’s time to move on. Ugh. The worst case scenario. Don’t get down just yet though, we’re not done here! I left college with no digital experience and a biology degree – all of my digital knowledge was obtained through self study. I spent 8 months selling myself without the on-paper experience to back it up. When I was finally given the opportunity to apply my knowledge in a business setting, I playing a critical role in landing the company’s 2nd largest deal in history. I am confident that I can have the same success in this role. 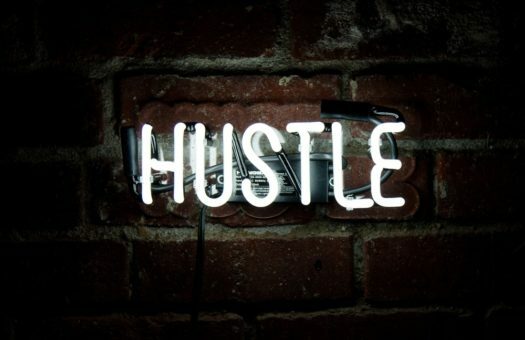 I have the resources necessary to learn what I need in order to be successful at , and am prepared to do whatever it takes to make that happen. I understand that interview process is extremely challenging, and that only the top talent ends up with an offer letter at the end. I also believe that I am worthy of a shot at that letter. [Company] is known for hiring people who excel at the intangibles, as well the ability to learn new things and apply them to existing knowledge. That is my forte. 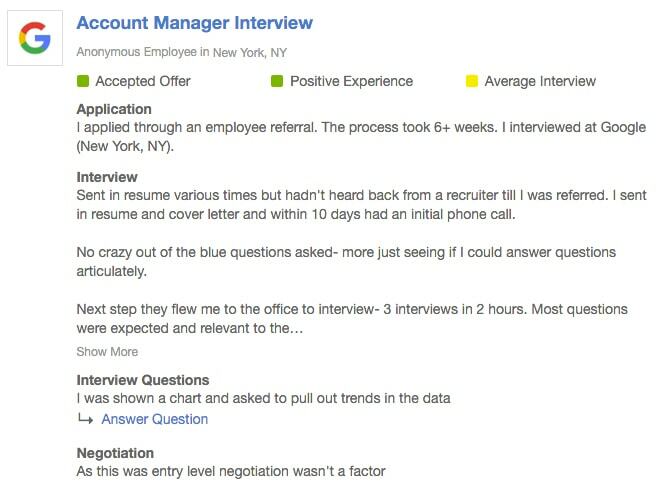 The moral of the story here is, don’t give up if you get a “No.” Try to identify why you were turned down and then send a note to hiring manager addressing those items (feel free to copy mine!). If you have any questions at all, please feel free to reach out. I made this site, and this guide, to help you land your dream job. I can’t wait to connect with you. Until then, cheers! Thanks for this great article. I am sure to read this more than once. Super thank u so much .. I couldn’t be luckier, I got the chance to know about you and learn from you! Amazing Work done on this post, I Love this post. Nice article. Very informative. Thanks for sharing this article. Various tips in this article have given me props in interviews and on my job search. Works like a charm. Appreciative. Connections are important but i think if you have experience working with good company you can easily find a job through online jobs portal but yes your resume need to be really really good. Thank you very much! This is really very helpful! Oh my, after reading this, i had the same feeling when i finished watching Christopher Nolan movie. Mind blowing. Wow that is one very thorough article, I think you covered everything there thanks. One thing I always say to people is always try to find a job in an area you enjoy and are passionate about, if you do this you will enjoy your life so much more. Amazing. Amazing. Amazing read. It almost seems like there is nothing left to ask because they all have answered in this one article. Invaluable insight and knowledge gained. Thanks for the amazing article . I really liked it. Thanks so much. This article is brilliant! If you don’t have a Company email address, you can’t access Viola Norbert. Any other suggestions. Excellent post, thanks for taking the effort !! Thank you informative and practical. Hi I have a question, If I have the influencer on my linkedin network send to him message directly or send him in gmail? I always recommend using email over LinkedIn. That’s not to say LinkedIn won’t work, but I’ve had much better results on email. Make sure you’re using an email tracker and following up too! I really like this, but when we ask for the 5 minute chat, I assume you mean phone or should I try to meet him in person? That’s great article you have written over here, that’s what i needed the most right now because as an engineering student i am looking for some guidance about how to get or search for jobs so thanks a lot for this wonderful article. I am sure i am going to follow these guidelines. I read this article on a Thursday, the following day I got a rejection email from a company I applied to. I took the bold step and contacted the director of the company, not the hr that sent the rejection. I sold myself to him, stating the values I would add to the company. To my surprise, I got a reply asking me to come for a chat. After the meeting, I got an offer. I could not believe it. It is good to be a bit aggressive when you need something. Thanks for the idea. 1. You mentioned about finding the right person. I am curious to know your thoughts on reaching out to the recruiters? 2. How much do things like what day of the week, and what time of day you send out your email, matter.